This week we've selected five of the best architecture and design job vacancies via Dezeen Jobs, including positions with architecture studio MLA+ and German architect Ole Scheeren's firm Büro Ole Scheeren. MLA+ is seeking an experienced urban designer to join its practice in Shenzhen, China. 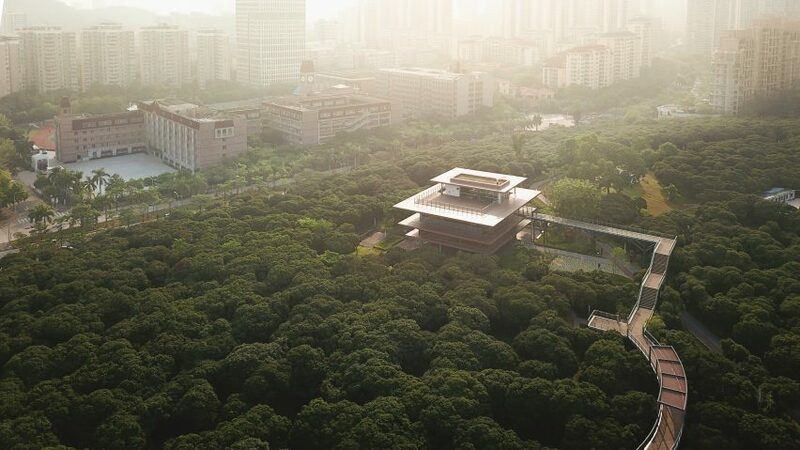 The firm recently completed Xiangmi Science Library, which features a treetop walkway to Xiangmi Park in Shenzhen. During his time at OMA, German architect Ole Scheeren designed MahaNakhon, Thailand’s tallest tower which stands at 314 metres. The architect's firm Büro Ole Scheeren is looking for a lead interior designer to join its offices in Hong Kong or Beijing, China. Feilden Clegg Bradley Studios is recruiting an architect to join its practice in Bath, UK. The Observatory is an artist's studio made up of two mobile cabins designed to travel across the UK, allowing passers-by to glimpse into the working process of the artist. A bomb-proof fuel pumping station built during world war two has been overhauled into this holiday home in Dungeness beach in Kent. Johnson Naylor has an opportunity for a middleweight designer to join its practice in London. The Boundary has a vacancy for a junior visualisation artist to join its London office. The British visualisation studio revealed a series of renderings depicting a luxury hotel designed for a secret site in the Sonoran desert in Arizona.